A beautiful morning is about to dawn over the Kawuneeche Valley on the west side of Rocky Mountain National Park. 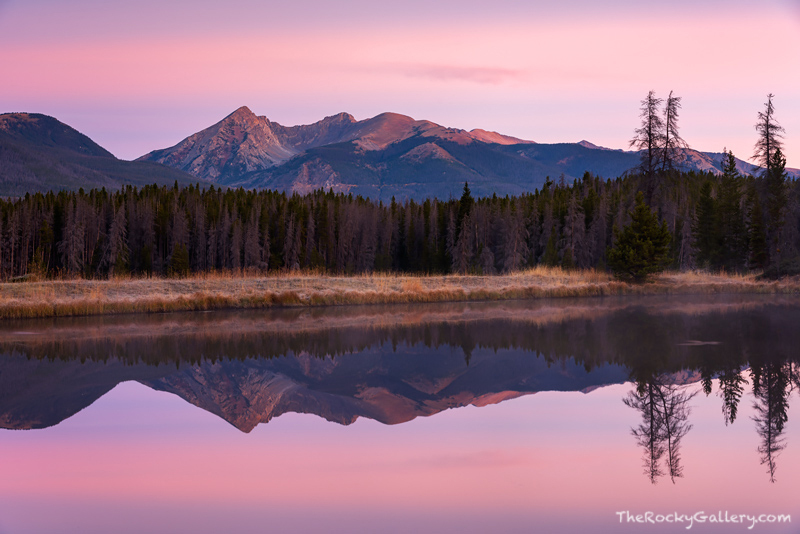 Baker Mountain reflects in a small pond near the Colorado River while the skies over Rocky take on a beautiful pastel hue. The small pond makes for a perfect reflection of Baker Mountain as the winds remained calm. Photo © copyright by Thomas Mangan.